D.A.F. stands for Vandoorne’s AutomobielFabriek. The first D.A.F. 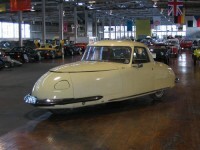 car went into production in 1959. It was produced with a step-free variomatic-transmission, a fully automatic system using a centrifugal clutch and a v-belt drivea with a limited slip differential. D.A.F. is a Dutch company that began in the late 1920s as a garage. 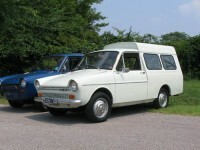 After WWII, the company started manufacturing commercial vehicles. The economical situation and the success of D.A.F. trucks made it possible for Hub Van Doorne to realize his dream of producing a luxury car. When the oil crisis emerged in 1975, Dr. David Hon realized that better urban mobility was needed. Inspired by his days at UCLA, when he had to disassemble his bike to fit in his car, he began designing a portable bike that was light, good-looking, and quickly foldable. 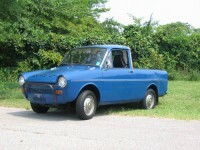 Created as a light delivery vehicle for tight spaces, the Midget was originally introduced in 1957 as a three-wheeled truck and enjoyed huge popularity among small businesses and delivery services all over Asia. 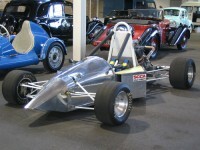 This version, the Midget II, debuted in 1996 to meet modern standards for the same design ideals. To truly appreciate the character of this 1969 Daihatsu Trimobile you have to understand the character of its ownership lineage. 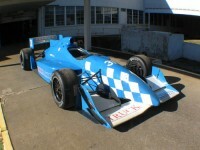 The Indy Racing League, better known as IRL, is the sanctioning body of a predominantly oval based open-wheel racing series in the United States and Japan. Founded in 1994 by Tony George, one of the IRL’s most popular race is the Indianapolis 500. Otto Daus was one of those rare individuals that not only decided he could build his own car, he actually did it. 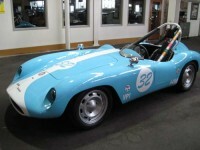 This car was built by David Austin to compete in S.C.C.A. hillclimbs and autocrosses. 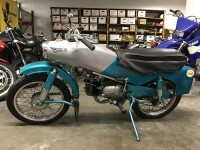 The concept of the car began with acquisition of a good motor from a wrecked motorcycle. Glenn Gordan “Gary” Davis was an industrial designer and salesman. 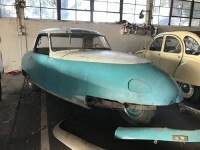 Around the end of World War II, he bought a small racecar that a California racing enthusiast had converted to a 3-wheeler–thinking it would make a practical economy car. Derny is a term that has become synonymous with small pacing vehicles for bicycle racing, but the company itself was more than just jargon. Born out of a French craze for motorized bicycles during the 1930s, Derny debuted its first model, the “Entraineur” in 1938, to pace the Bordeaux-Paris race. 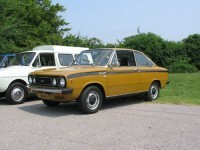 Deutsch-Bonnet was an unofficial partnership between Charles Deutsch and Rene Bonnet. It was “unofficial” because Deutsch was a civil servant who oversaw all French roads and French law prohibited civil servants from owning a business. 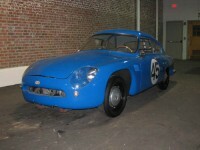 This car is the marriage of a Devin F body and a 1954 Renault 4CV chassis and drivetrain. Originally built by Harry Rasmussen in the Pacific Northwest, it was completed in time for dis-play at the 1962 Seattle World’s Fair. DKW started as a motorcycle manufacturer in 1919. Their first motorcycles were called Das Kleiner Wunder (the little wonder); hence the name DKW.